mommy's reviews: Check Out Kidorable's Gift Buying Quiz PLUS Review & Giveaway! Check Out Kidorable's Gift Buying Quiz PLUS Review & Giveaway! I am all about getting cute gifts for children. There are some great companies out there that cater to children and gift ideas for them but I would have to say that my favorite company for children's products is Kidorable. With Christmas right around the corner it is time to really start looking for gifts for those cute little people on your list. If you have no clue what to get that special someone, Kidorable can help!! The Kidorable Holiday Gift Buying Quiz is designed to help you find the perfect gift for your child. It is quick, easy and educational as well and best of all, can help you make a child's Christmas perfect. This quiz also helps you understand what children love and how they enjoy to play. Obviously, all children are different but this quiz can help to narrow down your options. Kidorable, a leading designer and wholesaler of children's products, transforms everyday, functional kids' apparel and accessories into objects that excite children's imaginations and enrich their lives at play. Kidorable is distinguished by their high quality, unique collections - from frogs to fairies, dinosaurs to dolphins, and ladybugs to lotus flowers - sold at apparel, shoe and gift retailers across the globe. With 300 million Americans who have small children, know small children, act like small children, or are themselves small children, Kidorable's fun, practical and colorful product lines are highly sought after, increasing consumer traffic and sales for retailers. 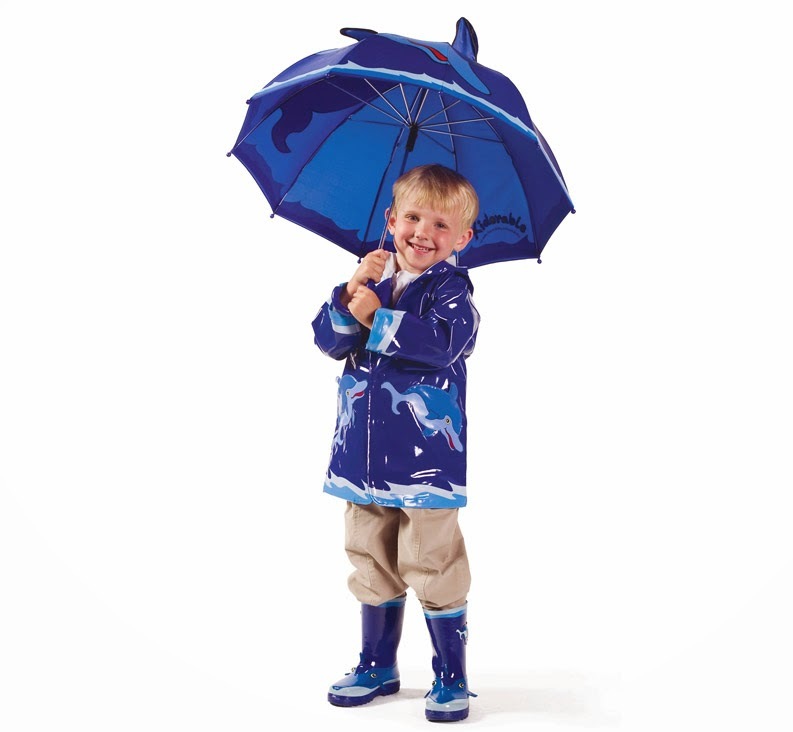 Kidorable product lines include umbrellas, raincoats, rain boots, knitwear, embroidered shirts, towels, sun hats, backpacks, hangers and bookends. Founders Liping Yang and Jonathan Domsky brought life to traditional children's apparel and accessories starting with lions, cats, frogs and bears in 1997. Immediately embraced by children, parents, and other child-loving adults, Kidorable celebrated over a decade of continuous growth. I was really excited to promote yet another product from Kidorable and this time, I will be showing you their adorable Butterfly Backpack. I am just in love with this backpack. It is so full of colorful details and is very eye-catching. This shiny, purple backpack is embellished with cute little butterflies. Some of the butterflies are sewn on, others have rope-like antennas. One of my favorite touches on this backpack is the puffy butterfly zipper pull. This makes it super easy for children to open the backpack especially if you have a young child. I know my kids have always struggled with small zipper pulls so this makes is really easy. I also love how roomy the inside of this backpack is. My daughter has the Ladybug Backpack and she is always filling it with toys, dolls and other toys. She never runs out of things to put in her backpack. The inside has a soft, silky lining as well, which is nice. Another great benefit to these Kidorable Backpacks is the fact that they are made out of PVC which makes them easy to clean. I have had some messes in my daughter's backpack and having them made out of easy to clean material has been very helpful. So, are these backpacks cute or what?!? I love them...each one. Whether you are looking for a gift for a little guy or girl, Kidorable has you covered. Raincoats, Umbrellas, Bath Towels and so much more await you at Kidorable so be sure you stop over and check out what they have to offer you this Holiday season!! Disclaimer: I received no monetary compensation for this post. I did receive free Kidorable products for review purposes. All quotes and stock photos are from the Kidorable website and email. Prize is being provided and shipped by the sponsor. This blog is not responsible for lost, stolen or damaged prizes. All thoughts and opinions are 100% mine. I would pick the Lucky Cat Umbrella. I like the Pirate umbrella. I would get the frog. So cute! I would like the fairy one. I would pick the Ladybug Umbrella. I like the elephant umbrella.